This is the public profile of Wong, Sin Bing Celian, Additional information and high-resolution images are available for accredited press members, to access additional information about Wong, Sin Bing Celian please login as a press member. About Wong, Sin Bing Celian : WONG Sin Bing Celian, a product designer from Hong Kong. Bing believes that many inspirations are from the observation and questioning in our daily life. 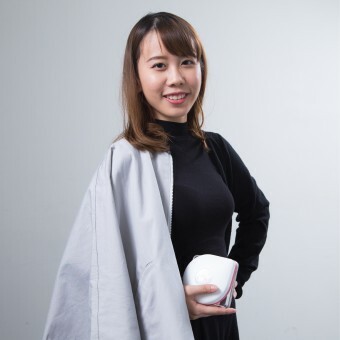 With interest in functional design, she hopes to design more products to enhance people’s quality of life. 2014-2016, Product design, BA , The Hong Kong Polytechnic University. Press Members: Request an exclusive interview with Wong, Sin Bing Celian.